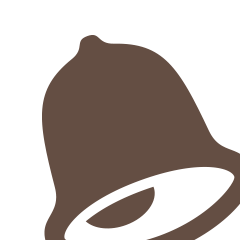 Xilisoft iPhone Software Suite for Mac will amaze iPhone fans greatly as it consists of four amazing Mac iPhone apps: DVD to iPhone Converter for Mac, iPhone Video Converter for Mac, iPhone Ringtone Maker for Mac and iPhone Transfer for Mac. DVD to iPhone Converter for Mac and iPhone Video Converter for Mac respectively can convert home DVDs and any video files to iPhone MP4 videos or MP3/M4A/WAV music, iPhone Ringtone Maker for Mac is able to make iPhone ringtones from any video/music file on Mac, and iPhone Transfer for Mac helps you copy files from Mac to iPhone and back up iPhone files to Mac/iTunes. With this iPhone Mac apps pack, you can convert Home DVD to iPhone, convert video to iPhone, make iPhone ringtones and transfer files between iPhone and Mac. You will find that your iPhone becomes a real digital cinema in your palm. Xilisoft iPhone Video Converter for Mac, a perfect iPhone video converter, can convert almost all videos and audios to iPhone supported video and audio formats such as MP4/MPEG-4, MP3, M4A, etc. for enriching your iPhone video and music library. Xilisoft DVD to iPhone Converter for Mac is a smart DVD to iPhone converter for Mac users, which can easily convert home DVD to MP4/MPEG-4, MP3, M4A and such video/audio formats for playing on iPhone and iPod with super fast conversion speed. 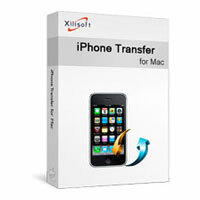 Xilisoft iPhone Transfer for Mac can backup your iPhone videos and music to Mac or iTunes, and also transfer files from Mac to iPhone. With this iPhone transfer on Mac, you can use your iPhone as portable hard disk to manage all the contents on iPhone easily. Xilisoft iPhone Ringtone Maker for Mac lets you convert music/songs in WMA, WAV, RA, M4A, MP3 formats to M4R iPhone ringtones, and convert AVI, WMV, DivX, MP4, H.264/AVC, AVCHD, MKV to M4R for making background music as iPhone ringtone.